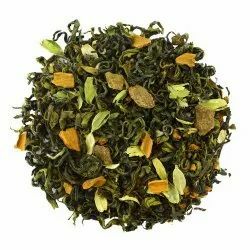 Manufacturer of a wide range of products which include kashmiri kahwa green tea, tropical hibiscus green tea, chamomile green tea, herbal tisane tea, silver needle chinese white tea and oolong tea. 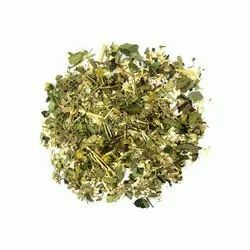 Delicate Green tea blended with saffron strands, cinnamon bark, cardamom pods and Kashmiri roses to add a great aroma, helps you relieve headache and maintain fluid levels . Backed ourselves with sound amenities, we have been occupied in presenting a wide series of Chamomile Tea. Invoke your taste buds with the new pure chamomile tea , right before sleeping. This tea can be a great start or finish for the day. HEALTH: The relaxing herb ,pure chamomile cures insomnia. Other than that it fixes mouth ulcers . Its nutrients treat various skin problems and stomach problems. FEEL GOOD: Come on the way of relaxation with pure chamomile tea. You will surely cherish the taste of this absolute beauty as it has a cool feel with it that recharges your muscles and pumps them with energy . 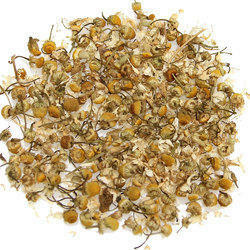 QUALITY: Pure Chamomile Tea ,with a few sips, provides relaxation. The flowers for the tea are selected carefully to give the tea a wonderful touch. NO flavors added. With the complete dedication of our hard-working team, we are able to present our esteemed patrons a high quality of Herbal Tisane Tea. The tea has a soothing and mildly sedative effect which relax your mind with a balanced blend of traditional herbs like Shankhpushpi, Gotukola, Chamomile, Gulbanafsha. Nature and smells enchantingly pure and fresh Herbs which balance the minds mental energy. No Flavors added. Heat water to 90-95 DegreeC. 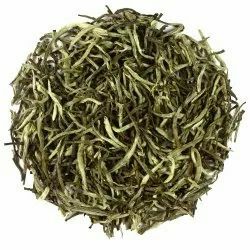 An amazing high-grade Silver Needle Chinese White Tea. Very fragrant tea with sweet, slightly nutty flavor. A delicate and subtle treat for quiet moments. HEALTH reduced risk of cancer, cardiovascular disorder and improvement in oral health. It has antioxidant and anti-aging properties which help in maintaining good health and healthy skin. It protects skin from the harmful effects of UV light. FEEL GOOD Profoundly honored Silver Needle represents tea in perhaps its simplest, most noble form. This is refreshing, soft and airy on the palate. This exquisite tea, perfect to enjoy in multiple infusions. These elite teas are known traditionally as the "Scholar's Tea" for energizing poets, statesmen and intellectuals with a reflective, calm state of focus. QUALITY From Darjeeling is one of the rare tea in the world, gathered only for a few days in early spring, the perfection is evident in the pale ivory colored liquor. 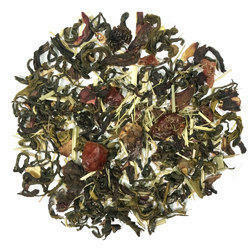 Oolong Tea This is an authentic artisan hand made Oolong tea from Nepal. Thisa tea has a dark brown appearance with long leaves, the cup is light, copper red with a subtle honey taste. 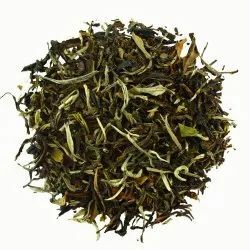 HEALTH: Oolong is a very unique tea as each leaf is prepared to preserve the essential tea oils which effectively help in reducing weight, regulate cholesterol and gives the skin a healthy glow. FEEL GOOD: Start your day with a healthy combination of ripe plum and shea butter. This cup with its eccentric fusion and hints of roastines is enough to keep you going. QUALITY: Extremely popular with the connoiseurs of tea, this is a traditional Chinese tea. Its uniqueness is in the way it is made by carefully roasting the tea leaves so that the goodness of all its fragrant oils is retained. 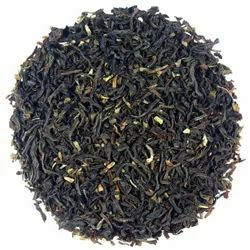 We are offering British Earl Grey Black Tea to our clients. 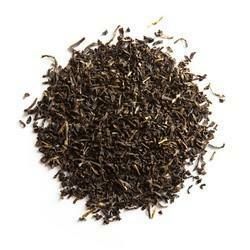 We are offering Assam Black GBOP Black Tea to our clients.